The L1 insertion (also known as LINE1) which appeared in previous versions of the tree is associated with haplogroups O3a3 and O3a4 suggesting a shared ancestry for these two branches. However, L1 has been observed to be absent in these groups due to multiple deletions and so is not included in the current version of the tree. New, private SNPs N6, N7, N8, N9, N10, N11 were discovered downstream of M175. The numbered SNPS 022454, 021354, 002611are the short-form notation for IMS-JST022454, IMS-JST021354, IMS-JST002611. 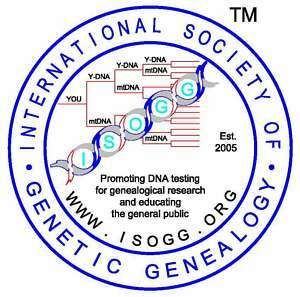 Y-DNA haplogroup O probably originated in East Asia and later migrated into the South Pacific. The lineage expanded into Taiwan (high frequency in the aboriginal Taiwanese), Indonesia, Melanesia, Micronesia, and Polynesia. O3 is the predominant sub-group in China. The O1 and O2a lineages are found in Southeast Asian populations of Malaysia, Vietnam, Indonesia and southern China. The O2b sub-group is of high frequency in the Japanese and Korean populations. <Shi et al, Y-Chromosome Evidence of Southern Origin of the East Asian-Specific Haplogroup O3-M122. (abstract) American Journal of Human Genetics. 77:408-419, 2005. Added M307.2 and changed P203 to P203.2 on 11 March 2009.